The Great Polar Bear Adventure takes viewers into the secret life of some of the most majestic creatures in the world using revolutionary technology. 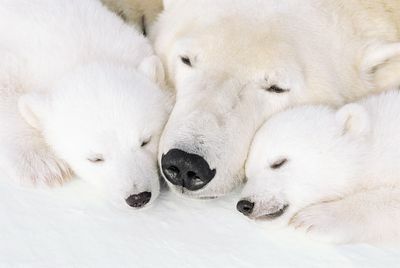 Combining gripping arctic footage of polar bears with the incredible animation techniques, used in films such as Stuart Little and Walking with Dinosaurs creates an unforgettable experience. 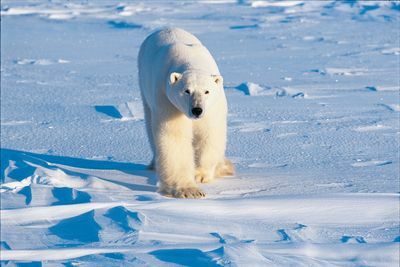 Polar bears have roamed the planet for hundreds of years, but now they face a serious struggle for survival. This fantastic film introduces viewers to a family of daring, funny and ferocious bears each with unique personalities. The story features mother polar bear Ikuk and her new born cubs Asak and Cassie as they embark on a remarkable adventure through the perilous Arctic landscape. Ikuk must teach her children how to learn to walk, hunt for seals, and perhaps most importantly sniff out danger. Sadly climate change has had a devastating effect on the traditional ways of the polar bear. 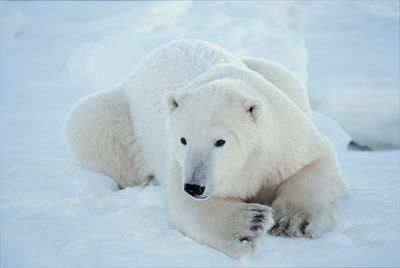 Subsequently the family of bears are forced on a dangerous journey north due to the melting Arctic cap. Along the way Ikuk tragically looses her cubs. It seems all is lost for young Asak and Cassie as they face the dangers of predators alone, but can Ikak summon the strength to find her precious cubs?